Be careful what you wish for… how many parents have said this to their kids? Usually such advice is instantly disregarded but in a new, fantasy adventure story the message comes through loud and clear. 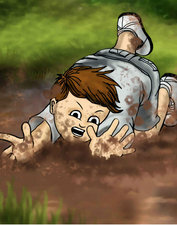 Writer Rachel McGrath, (who came to Great Britain by way of the Australian seaside), has taken this old adage and crafted Mud on Your Face, a story that centers around Gus, a seven-year old boy who feels left out despite — or maybe because of — his very large family of eight brothers and sisters including a pair of twin girls. Of course, Gus wonders what his life would be like if he were he an only child. He goes so far as to wish that his entire family would disappear and he would never see them again. 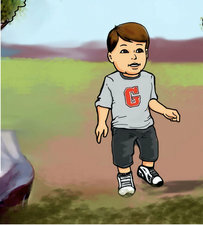 Then, on a family camping trip, Gus gets lost in the woods. All alone, he’s not so sure that this alone thing is so terrific. He meets a girl who may or may not be an angel and with her help begins to find his way out of the woods and resolve his personal dilemma. 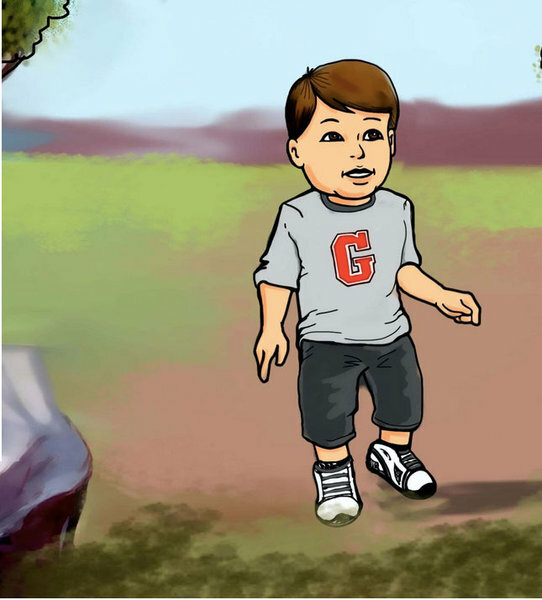 Gus’s adventures take him through a series of “what if” questions with the ending gently pointing out the value of being happy with what you have. 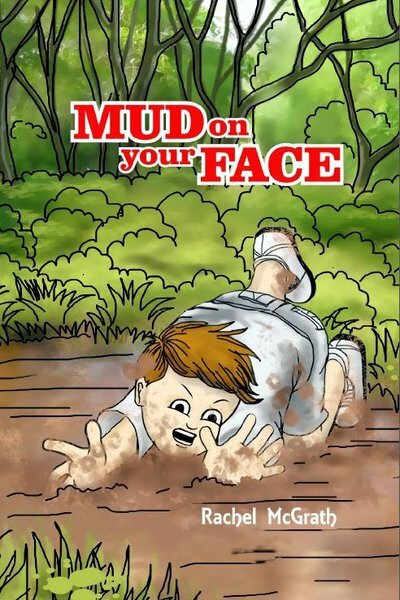 Mud on Your Face encourages children to step back, get involved in an engrossing fantasy and ponder the value of appreciating their life as it is. Many youngsters face annoying family situations which, at the time, they would dearly love to change. Is this a good idea? Would it lead to greater happiness? These are some of the questions this easy-to-read book raises while encouraging young readers to consider the joys of their existing lives. 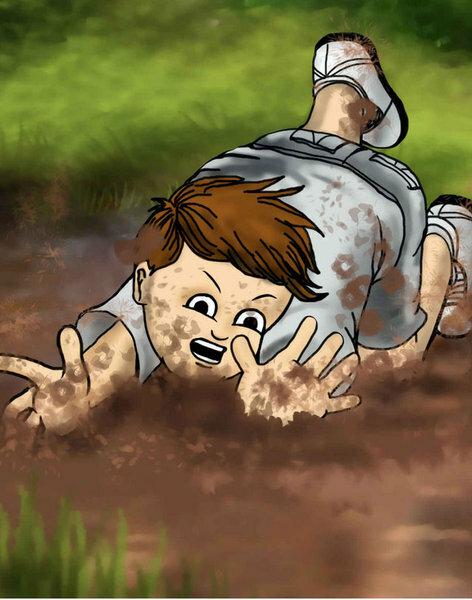 The book targets kids aged roughly seven to ten, old enough to engage in serious thinking and young enough to find the story engrossing and fun. Fully illustrated in color, the 138 pages are filled with relatively simple language that tells a gripping story. Author McGrath came up with the idea when she was on a vacation. Although she was with friends, she felt a bit left out and that’s when inspiration struck. Her first book, Finding the Rainbow, was published last May and just won the Peoples’ Book Award. 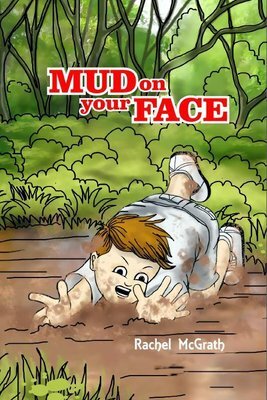 Mud on Your Face is her first children’s book of what she hopes and firmly believes will be the springboard to many more. The message is that the grass is rarely any greener on the other side of the fence; in fact, it’s probably as green as it gets right in one’s own back yard. In a world where so many books for kids are based on epic battles, this is a charming return to storytelling of yesterday in which important teachings are snuggled into an eminently readable tale. Parents, grandparents and teachers all weigh in on the importance of kids making the most of a given situation. Nothing is one hundred percent perfect but your own life is likely as close to a good situation as is likely to turn up. McGrath has dedicated this delightful book to her two “wonderful, cheeky, crazy nephews” whom she says, make her smile all the time. Boys and girls who are lucky enough to be given this refreshingly original book will both smile a lot and take away a valuable life lesson.